It is so exciting – we had such an awesome turnout on Monday 24 June 2013 which was a great start to building our six degrees community. The Coffs Central Food Court was buzzing like never before with a diverse array of the Coffs Coast’s entrepreneurs, freelancers, consultants, ‘soloists’, small business owner-operators and people working from home looking for a new way to work, connect and be inspired. We also had a number of people with new projects, new services or products they were looking for support and motivation to grow their concepts into viable businesses. 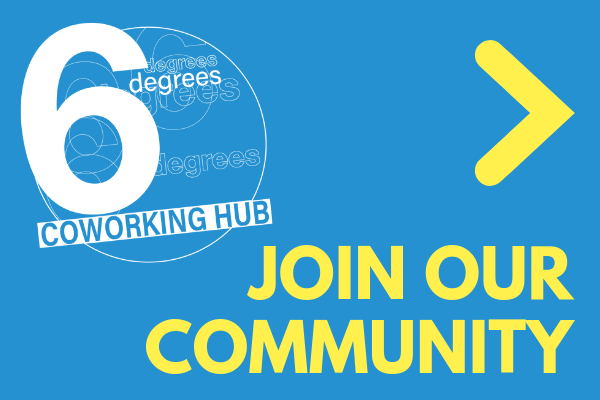 We now have over 50 people signed up as part of our SIX DEGREES community and it is growing fast. Now we really need to know what you want from a coworking space and how often you think you would use it. Go ahead, be honest. Our feelings won’t be hurt. Tell us what you think in our short, delightful survey. Go ahead and click.